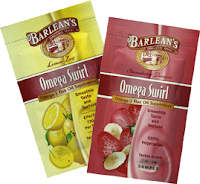 Omega Swirl is an Omega-3 sensation with the taste and texture of a fruit smoothie! Now everyone can enjoy the benefits of Omega-3 without the oily taste and texture or swallowing large capsules. Only one free sample per household. Please allow 4-6 weeks for delivery.